308 people want to do this. 73 people have done this. Almost gave up on this goal due to how little time there is before graduation, although I decided to give it a go anyway. Hopefully, when the time comes to open it, I will already have forgotten everything I wrote. I really want the letter to deliver its message without my memory of it tarnishing the effect. 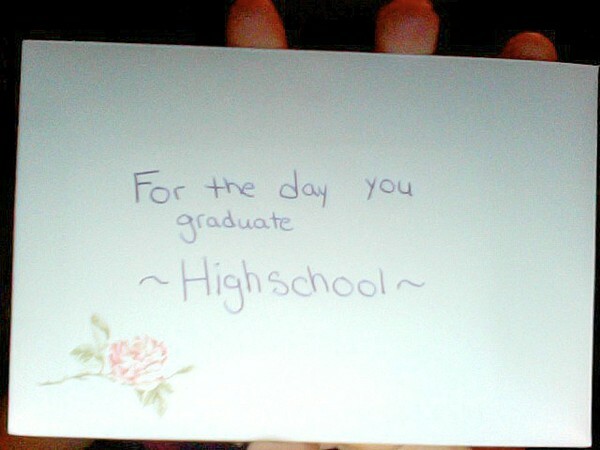 Wrote a letter in my mind, because i wasn't sure, that i will graduate. Carta guardada na gaveta da minha mesa de cabeceira, junto à cama.